Ballroom, Latin and Sequence Dancing in West Berkshire and South Oxfordshire. First dance lessons for your wedding. | Cheek2Cheek Dance - Dance in a Day! Gift? Family Wedding? Learn to Dance in a Day! - Waltz, Social Foxtrot, Swing Jive (Rock'n'Roll) & Cha Cha Cha. To book, scroll down to the booking diary. Dance Days are run jointly with Mark Harbor from DanceClub. Ensure pop-ups are enabled on your device to use the booking diary below. Please use a PC as it's not currently working on smartphone or tablet. "...we would like to thank you both for the amazing class you held on Saturday. We had so much fun and learned a lot!" "...we would like to thank you both for a brilliant four hours on Saturday." "Really enjoyed myself on this - lighthearted and fun - Alison / Mark the double act was brilliant and entertaining!" 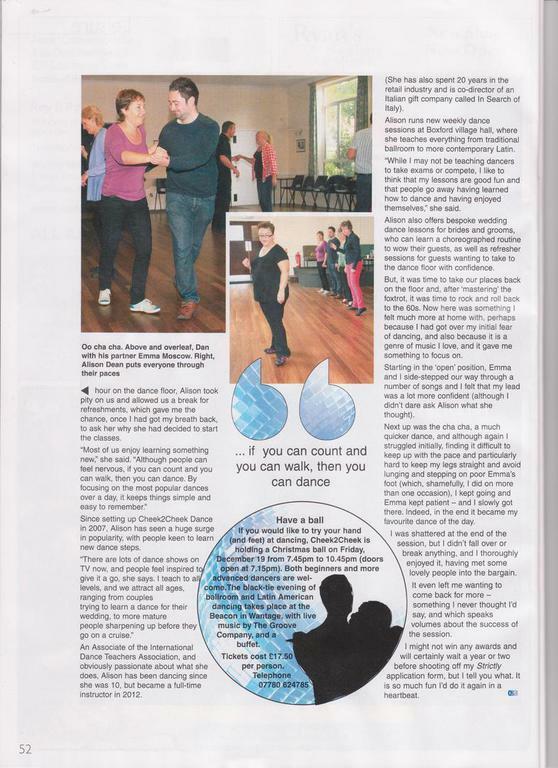 "Just wanted to say how much we enjoyed the dance in a day class last Saturday in Wantage." "I just wanted to say how much I enjoyed your class on Saturday. It was great fun and I think Dan enjoyed it too, we had quite a laugh"
"thank you so much for such a fantastic day last Saturday, me and phil had such a good day"
"Just wanted to say thank you for Saturday, myself and Alex had an amazing time at the dance day, it was a great way for us to get back in to dancing and though exhausting we had a really great time :) "
"thanks for a great day it was my first time learning to dance and I totally enjoyed it." 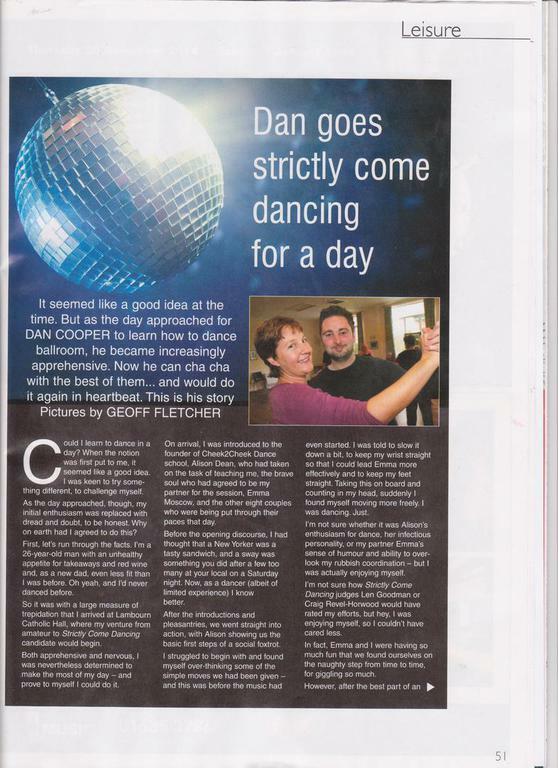 ﻿"I can just recommend it :-) it was a lot of fun, sweat and music ... And dance." "Wanted to say thank you so much for Sat it was brilliant. We laughed so much and it was good fun and we learnt loads. All so much more than expected."